Arctic Dispatch (starts at 2:18): There is no question that the Arctic is thawing faster than anywhere on the planet, except the western Antarctic Peninsula. But there are still so many unknowns regarding how things are actually changing in different places, and to what effect. How On Earth’s Susan Moran recently attended the Arctic Frontiers conference in Tromso, Norway. Among the scientists who discussed research on how the receding and thinning ice in the Arctic will likely affect different species was George Hunt, a research professor of biology at the University of Washington. 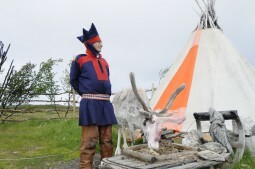 Aili Keskitalo, an indigenous Sami from Finnmark, Norway and president of the Sami Parliament, discussed how energy projects, including windmill parks, are negatively affecting reindeer and Sami culture. Hunt and Keskitalo discussed these issues with Moran. Wind forecasting (starts at 10:40): The wind industry in the U.S. faces several hurdles, including a technical one: discovering how the wind is going to blow near the mountains. For power systems to be reliable, operators must know when to expect the blustery gusts or when to expect a still breezeless calm day. That means they need accurate wind forecasts. 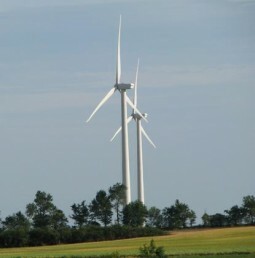 The Department of Energy has just given a substantial grant to a coalition of organizations in Colorado to help improve wind energy forecasting in mountain and valley regions. Julie Lundquist, a professor of atmospheric and oceanic sciences at the University of Colorado, discusses the current and planned research with co-host Jane Palmer.